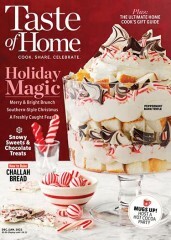 This is a general-interest family magazine which offers a variety of reading. Its articles and stories cover a range of subjects including health, ecology, government, international affairs, sports, travel, science, business, education and humor. "Had stopped reading readers digest due to small print. Love new large print digest and reformatted stories. Ordered for my mother as a gift and will resubcribe not only for her but a copy for myself as well. Thank you readers digest. It?s great to have an old friend back." "my wife loves it n has had a stroke and the large print is easy for her to read"
"I have always enjoyed reading the Readers Digest. 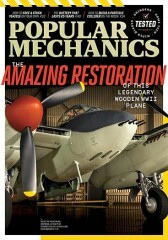 Now that I have retired and my eyesight is not as good, I can once again read the magazine with ease." "Love large print, but still getting regular Readers Digest every month. (last two months)"
"Great gift for my 103 year old mother!" "Service is good except for the name on the address. My name is Don Mersinger, not Hap Bossler, my father in law, who passed away some years ago and lived here. There is no way to correct this thru their email service; I tried twice." "I enjoy the magazine and especially like it is in large print." "Perfect everything from the email notification to a perfect first delivery was better than expected. " 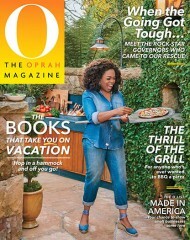 "LOVE this easy-to- read version of my favorite magazine!" "was not expensive and product is as promised. I am very happy and would order again................................."
"Got this for my Honey. He loves it." "Elderly parents very appreciative of their large print edition." "Outstanding service and very enjoyable for my Mother who has difficulty with small print. " "I really enjoy the jokes and stories." "I'm very happy with the price of this magazine which I give as a gift every year to my elderly aunt." "Everything worked out as planned. Ordered, paid, magazine showed up. Can't ask for more. Oh, and a great price." "As it turns out the Large Print is too large for my husband and I." "No issues, no troubles. Mom was happy." "Easy process RD is right on time"
"Enjoy reading the features in the magazine." 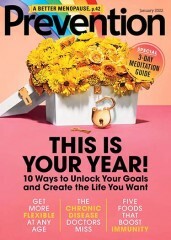 "easy order and reminders were useful"
"It was a gift and she is very happy with the subscription "
"My aunt received her first magazine in less than 6 weeks and she loves it! 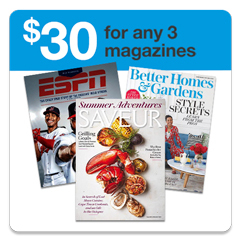 The large print Reader's Digest is a wonderful gift for elderly people or those with reduced vision! " "I gave this to a friend who was an avid reader until she was diagnoised with Macular Degeneration . This large print has permitted to enjoy the stories once again." "Due to low vision, I basically stopped reading on a regular basis. However since ordering the large print version of Readers Digest, I am happy to say I'm able to enjoy reading again! Thank you, thank you, thank you!" "Excellent mag for sight impaired!" "Very happy. No issues at all nice company. " "I ordered because it said big letter but not big enough to read"
"Easy to read, even if I forgot my cheaters"
Not getting the magazine why??????? "am not getting the magazine, why ?? I paid for it....."
"Wanted to receive Readers Digest large print, but at a good price and in a timely manner. Subscriptionaddiction.com provided that precisely. Magazine is a jewel of information and entertainment. " "My mom loves the large print"
"As my eye sight gets worse I can actually read the Readers Digest Large Print version of the magazine. We have many overcast days in the North West and light can be a problem. The large print is sufficient to read outdoors without any glasses." "I no longer have to squint while reading. " "I purchased this for my 81 year old mother in law who can't see very well. She LOVES it! " "Just love to sit there and read it." 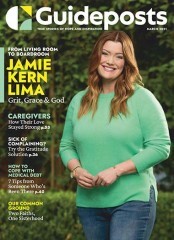 "I love her he magazine and so far I?ve gotten the issues. Was nervous ordering from them. But do far so good!" "Really like reading the larger print!" I THE LARGE PRINT , BUT THE CONTENT IS BLAND , AND "DUMBED DOWN" . JOKES ARE AN ATTRACTION NEEDS SOME BETTER JOKES. "I SUBSCRIBED BECAUSE OF THE LARGE PRINT , BUT THE CONTENT IS BLAND , AND "DUMBED DOWN" . JOKES ARE AN ATTRACTION, BUT NEEDS NEEDS SOME BETTER MATERIAL. I SUGGEST MORE TOPICAL ARTICLES. " "A Timeless format. Very enjoyable." "Nice large print for my old weary eyes..."
"I am enjoying it every month!" More magazines should do this. "I have macular degeneration and the large print allows me to read without a magnifying glass. " Excellent - A great gift to give! "My dad-in-law loves it! He talks about it a lot. 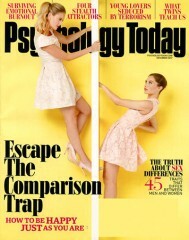 Especially loves the large print and excellent articles!" "was just what we were hunting for our 97 year old family member for Christmas"
"So much nicer to read love just reading without my glasses"
"I am so glad to be able to read again without glasses. The stories are interesting and short and I enjoy the jokes." "Love the Readers Digest and now so much easier to read." "Something my Mother really enjoys." "It's very large. I think I would have preferred the regular version." "Thank you for providing Readers Digest in large print. My parents have always enjoyed the magazine, but their eye sight is getting bad and they weren't able to read the normal print any more. I purchased the large print subscription for them and they are so pleased to be able to read it again! They have been sharing it with their friends when they are done with their copy too. Wish other magazines would provide large print too!" "Due to vision impairment it had become impossible to read small print. With the large print Reader's Digest I am now reading easily again. What a joy!" "I got the subscription to Readers Digest Large Print for my husband who has Macular Degeneration. The condition has progressed to where he can't read regular newspapers, books or magazines. I was not sure if Readers Digest was a magazine that he would like but he reads the Readers Digest Large Print cover to cover when it arrives in the mail. Thank you so much." "Now my elderly mother can enjoy reading your magazine again. Perfect. " Look forward to every issue! "Great price & service! Will order again." "I love my Reader's Digest Large Print and can't wait until they arrive in the mail. After I'm done reading I hand them down to my granddaughter who also loves them." "have used for years and love it." Large print Reader's Digest, good for those with Macular Degeneration. 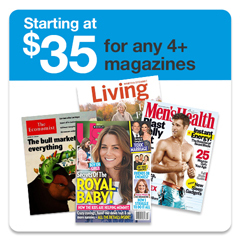 "I've been buying these large print magazines for my husband for a number of years now. 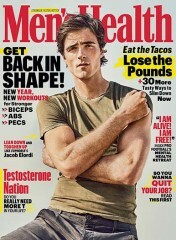 Wish they would make more magazines in large print. " "Love the big print magazine." "I need to wear glasses to read, but not with this bold print. I always enjoyed Readers Digest when I was a child, to my teens, then I got busy with life, and didn't read it any more. I looked on line just to see if they still made it, and to my surprise they do, I subscribed and was asked if I would like it in bold print, double take.. Thank You Reader's Digest. I look forward to my issue." "It's a great magazine and especially great in large print format!" It was for my elderly parents and there really are enjoying it. "They are enjoying it in the large print. So glad it is available in lge print." "Easy to read at our age (advanced). This is a very excellent product." "Great experience. The subscription started much faster than I expected. " "Since a recent stroke, I have had visual snow, which makes it very hard to read regular print. RD Large Print is a welcome relief. Interesting articles, enjoy the jokes and crossword. I'm back to reading again." "I love it! No eyestrain as with the small print. Thank you also for the very affordable price. It sure helps us seniors out!" "All those marvelous stories made easy to read by the large print have given hours of enjoyment. Try to ration it out and read it over the course of few days, but read it all - at once upon receipt." 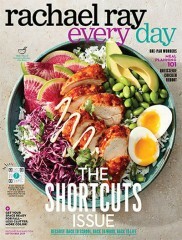 "Awesome mag thank you, My eyes are bad so this was good for me"
"I felt very lucky to find a subscription for Reader's Digest Large Print at half the price that the magazine was offering. I was a little hesitant but the magazine is arriving regularly and I really saved a lot of money." "Ordered this for my uncle. He loves it. He lost his wife last May. He loves to read. Thank you." "My 95 year old father is in assisted living. He loves the large print that he can read. It gives him something to do to pass the time." "Need an 800 number to make order and inquiries. 910-458-4664"
"Please be sure that suscription is in Spanish . Estoy ordenando Selecciones en Espanol large print." "i NEED AN 800 NUMBER SO I CAN CALL GET SOME GIFT SUBSCRIPTION INFORMATION. 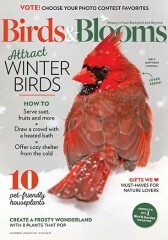 513-294-6065"
Who publishes Readers Digest Large Print Magazine? 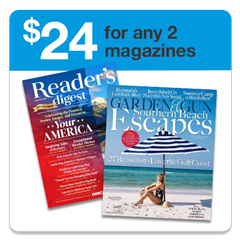 Readers Digest Large Print Magazine is published by Reader's Digest Association, Inc..
How often is Readers Digest Large Print Magazine mailed? 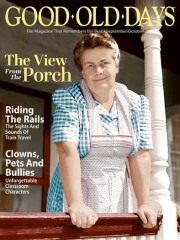 Readers Digest Large Print Magazine is printed and mailed Monthly. 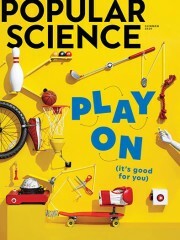 If I order Readers Digest Large Print Magazine today, when will my first issue arrive? 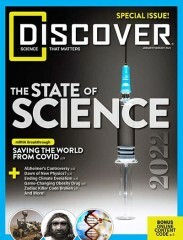 What is the Universal Magazine Code for Readers Digest Large Print Magazine ?